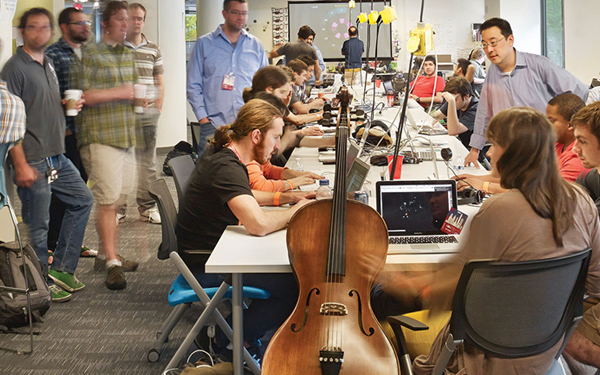 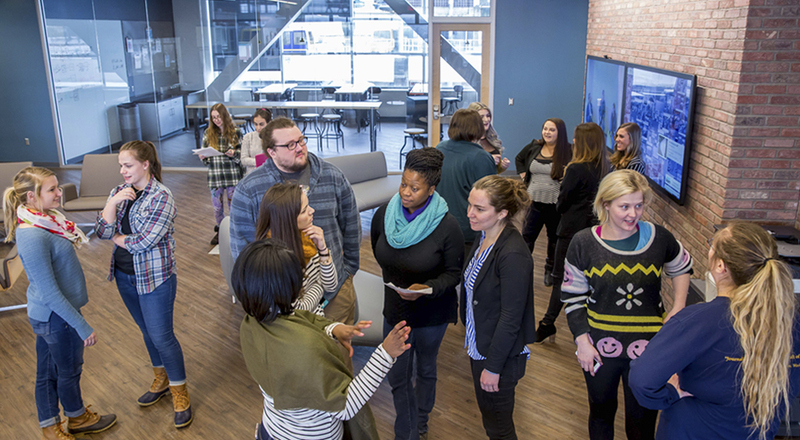 Inside a "huddle" room at the Media Innovation Center. 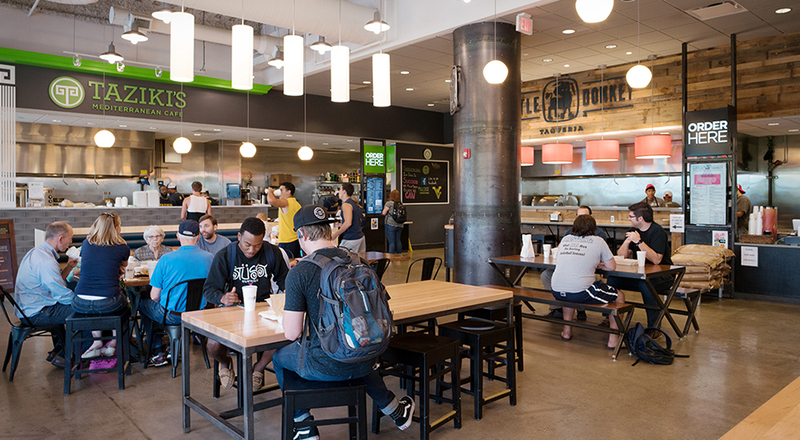 The dining area in Evansdale Crossing is a big draw, with four craft restaurants. 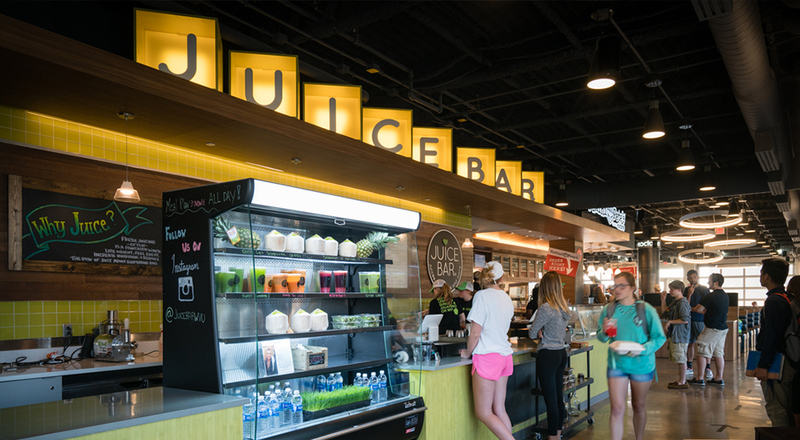 Juice Bar and Octane Lounge reside on the top floor of the building, with adjoining roof deck. 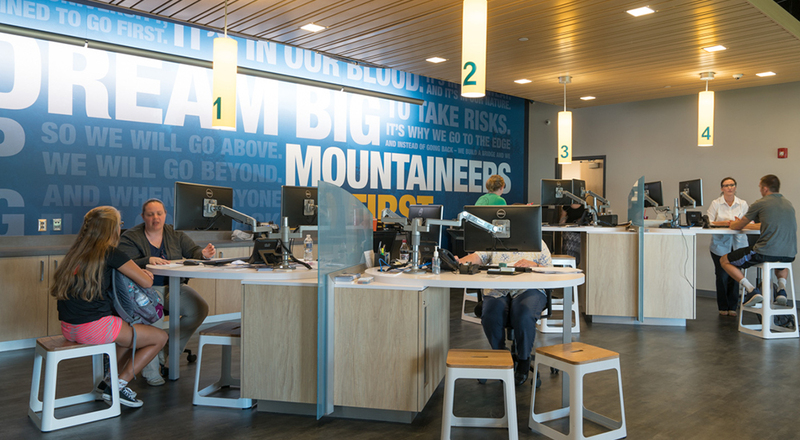 Strada’s master plan for West Virginia University’s Evansdale Campus identified the need for a new programmatic element at the center of the campus—a “connector” building for meeting, learning, and socializing where a natural crossroads already existed. 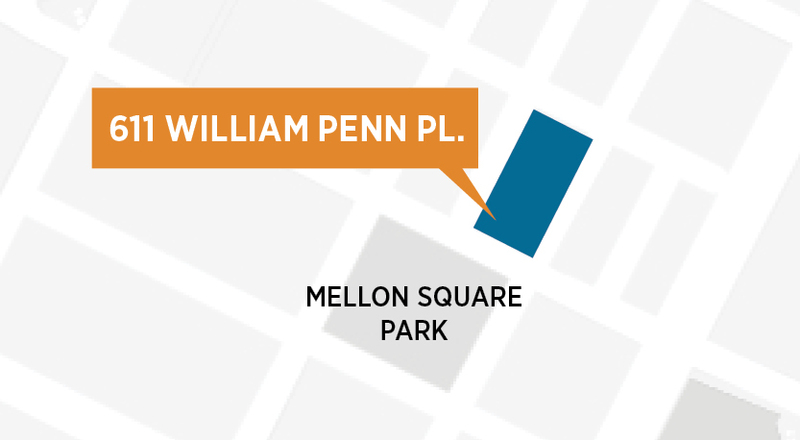 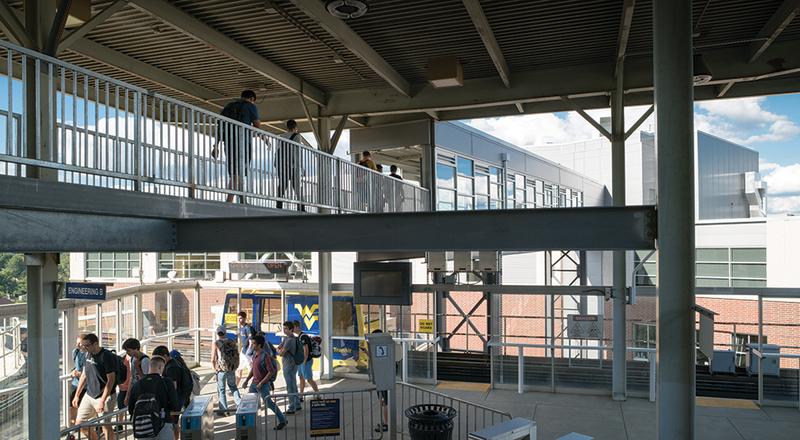 The new building sits at a critical intersection of various campus quadrants as well as the main PRT station, and serves as both a vertical and horizontal connection across the hilly campus. 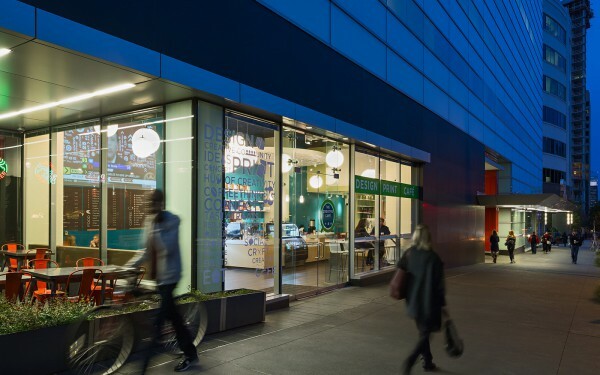 When Strada teamed with private developer Fresh Hospitality in 2012, “Evansdale Crossing” quickly morphed from a simple stair and elevator tower designed to traverse the challenging topography into a five-story, 100,000-SF mixed-use social hub. 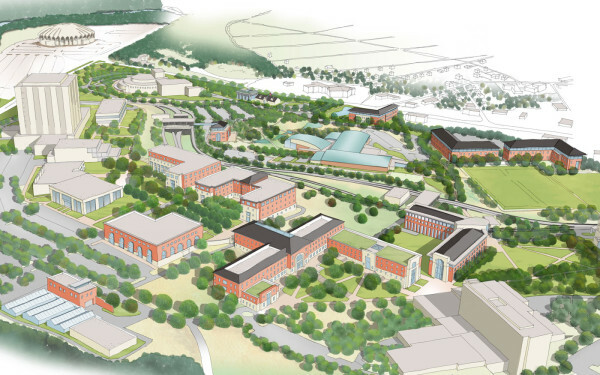 As predicted, the building has blossomed into a vibrant gathering place that brings students, faculty, and the larger community together at the heart of several academic and recreational districts. 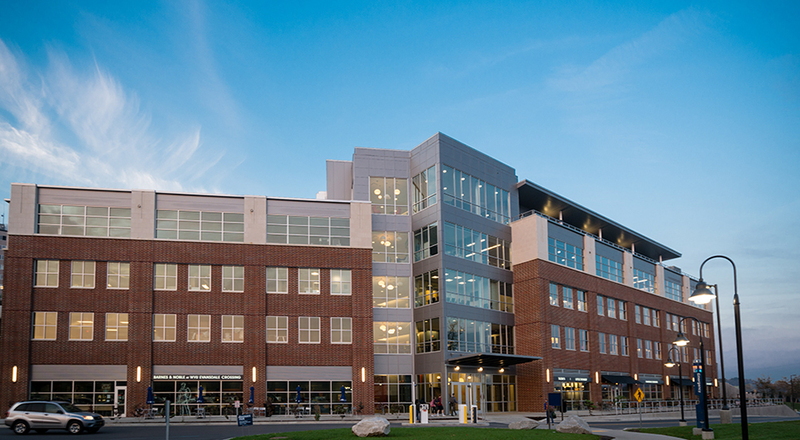 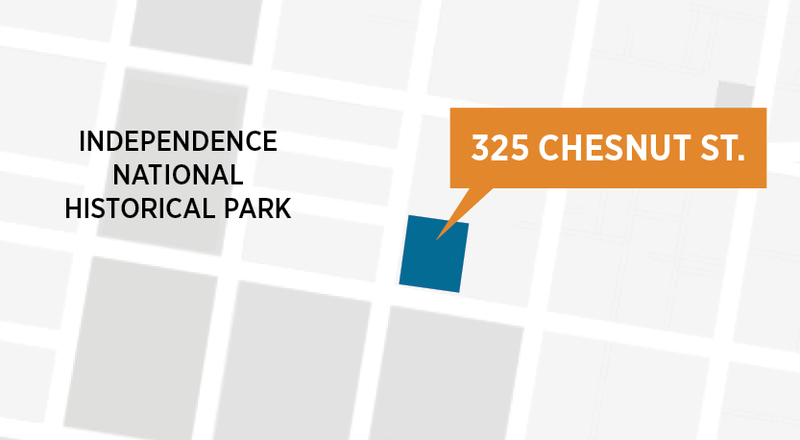 Evansdale Crossing contains a one-stop student service center, a bookstore, the cutting-edge Media Innovation Center for WVU’s Reed College of Media, and several craft restaurants with interior and exterior gathering spaces. 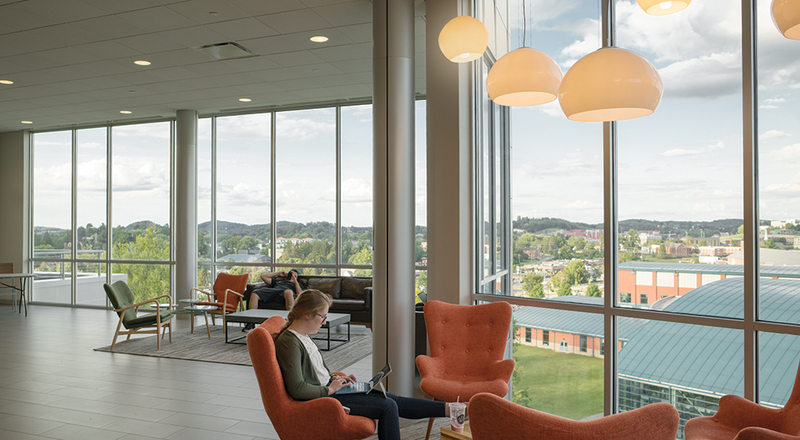 A rooftop lounge on the fifth floor forms the backdrop of a high-energy “living room” with stunning views of the surrounding campus and mountains beyond. 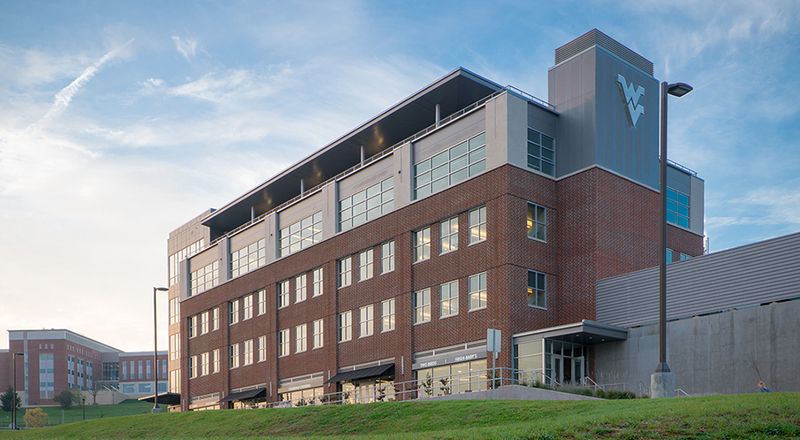 By weaving together academic functions and student services as well as dining options, social spaces, and a transit stop, this hybrid building is quickly becoming the core of the WVU Evansdale Campus. 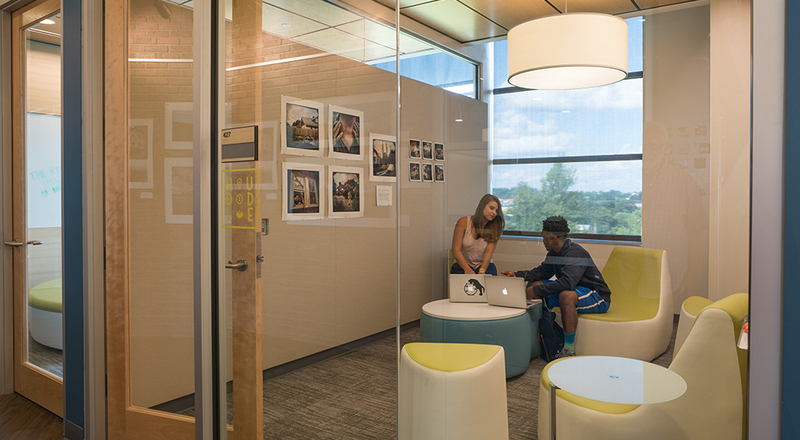 Some interior photos courtesy of Reed College of Media.